One thing's for sure: Niagara Falls hasn't stopped flowing due to the U.S. Government shutdown, and Niagara Falls State Park is open for visitors who want to get away from all the nonstop dribble of dreary news and revel in the stunning autumn scenery. And lucky for Toronto CityPASS holders, it's a quick 80-mile/128-kilometer drive from Toronto, making it an easy side trip for a day or even a weekend. "October is a wonderful time to drive up and explore the falls and surrounding towns," said Libby Woock, e-marketing coordinator for Niagara Tourism & Convention Corporation. "Obviously, this is the time when leaf peeping is at its finest, and many of the best attractions are operating through October 24." Established in 1885, Niagara State Falls is America's oldest state park. Niagara Falls itself is made up of three waterfalls: American Falls and Bridal Veil Falls on the U.S. side of the border, and Canadian "Horseshoe" Falls on the Canadian side. 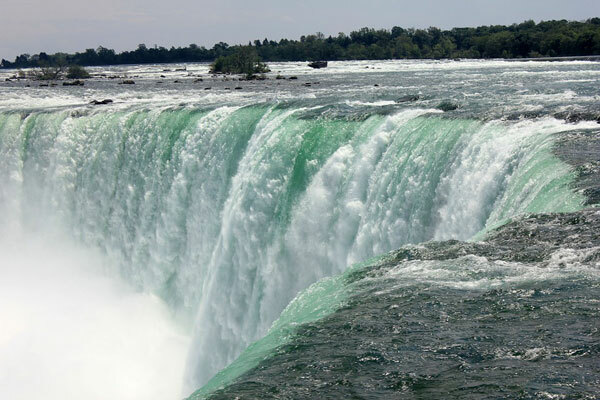 The water going over the falls comes from four of the five Great Lakes, and lest anyone thinks all that water is going to waste, Niagara Falls is the largest producer of electricity in the world. Open 9 a.m. to 5 p.m. daily, the Niagara Power Project Power Vista offers free, self-guided tours of its power-generating facility. Best, it offers incredible views 350 feet above the Niagara River both inside and outside. Niagara Falls was discovered in 1678, by French explorer Father Louis Hennepin, but of course it's always been there to the indigenous peoples. It's an enduring North American wonder and a destination for newlyweds, travelers and even daredevils who have gone over the falls in a barrel or have tightrope-walked across it. A delightful note is that the first person to go over the falls in a barrel and survive was Annie Taylor, who accomplished this feat in 1901 as a 63-year-old female schoolteacher. Naturally, these attempts are against the law, but that won't keep some folks, such as the Niagara Daredevil Exhibit at the Niagara IMAX Theatre, from making some money off this crazy history. 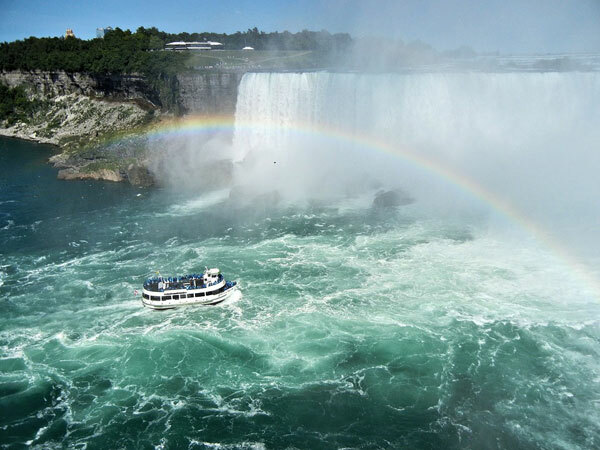 In addition to gazing at the falls from above, take a boat ride on the Maid of the Mist®. "It's a must-do," Woock said. "We get eight million visitors a year, and it's a definite bucket-list item, taking people right to the front of Horseshoe Falls." At night, enjoy a beverage at Giacomo's Lounge, one of the town's boutique hotels beautiful view of the falls. At night, the falls are illuminated and, between May 17 and September 1, there are fireworks on Friday and Saturdays at 10 p.m. There are plenty of places to stay near the falls, but naturally, rooms are cheaper if you don't need to view the falls from your hotel room. 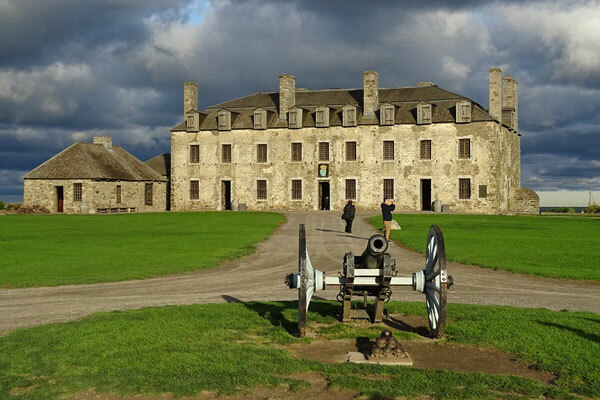 Old Fort Niagara – Located in Youngstown and open year-round, this preserved 18th century fort is open year round. Visitors can tour the original buildings where Native American, French, British and American soldiers lived and worked. Battle enactments are held in the summer, and a haunted fortress tour takes place on October 19 and 26 and includes a spooky nighttime walk, apple cider, hot chocolate and bonfire. Best of all, the Federal Government shutdown didn't affect this destination either. Grownups can enjoy a Happy Hallowine Murder Mystery Weekend along the Niagara Wine Trail from October 18-20. Even better, wine aficionados can enjoy the bountiful selections from the region's 17 wineries year round. Just minutes from Niagara Falls, the trail is an emerging region for fine winemaking and is home to boutique shops, farmer's markets, breweries, and plenty of lodging and restaurants. Take a drive, leaf peepers: Take a 24-mile drive along the Robert Moses Parkway – 18E, from Lewiston to Olcott and enjoy spectacular autumn scenery. "in Olcott, visitors can enjoy the antiques and other craft stores in the Lakeview Village Shops, many right on the water," Woock said. Also, try to get a seat for breakfast at Gordie Harper's Bazaar on 3333 Lockport-Olcott Road in Newfane. The Lockport Locks and Erie Canal Cruises are winding down for the season (the last two-hour ride on October 14), as is the Lockport Cave & Underground Boat Ride, but I'm told that they're definite favorites during the warmer weather. Another seasonal must is the Whirlpool Jet Boat Tours, which depart out of Lewiston. They traverse class-five rapids and you're guaranteed to get soaked in their open-air boats. Yes, they do have domed versions of the boats for the less-than hearty. Anyone finding him or herself in the area this weekend can enjoy a joyous Niagara Falls Oktoberfest celebration October 12th, along historic Old Falls Street. Once you head back to Toronto, be sure to check out our full list of other things to do while you're in town!